Engage kids with STEAM projects in the summer months and beyond. In summer classes or at back-to-school, it's always a good time to explore STEAM learning. Game design combines important skills like critical thinking, creativity, and perseverance -- plus, it just sounds fun. Get kids excited about drawing game blueprints, building blocks of code, learning computing concepts, and participating in a collaborative community beyond the classroom. From drag-and-drop programming to scripting language, these top apps and games are great for a range of learners. Students will not only exercise their design-thinking muscles, they'll also learn valuable coding and engineering principles. Kids begin by drawing "glyphs," or predefined shapes, to create blueprints for their game. After they take a photo and upload the drawing, students can test the game and iterate before they choose to share it with a global community. Although kids will need to draw their games within specific parameters, it is still a highly customizable experience. 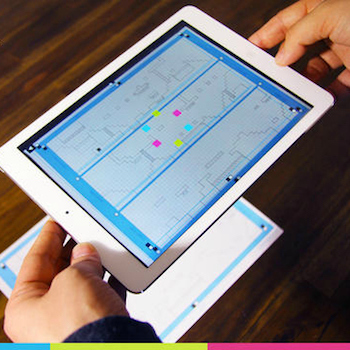 Students will be amazed by the magical transference of their creation from paper to screen. By using drawing as a starting point, this app appeals to a wide range of students and helps them develop engineering and design skills along the way. Beginners can start with the drag-and-drop interface and eventually switch over to the more advanced scripting language. With a clear and consistent user interface, this tool appeals to novices and more experienced game designers alike. As one of the most popular game-creation tools, GameMaker: Studio includes active support forums, built-in tutorials, and the ability to join a learning community beyond the classroom. 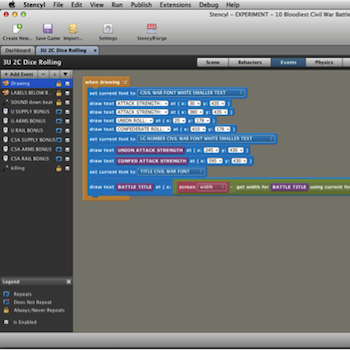 Students can use drag-and-drop design to plan and create games without needing to code. Stencyl stands out by connecting student work to major publishing platforms, including iOS and Android (but only with the paid version). 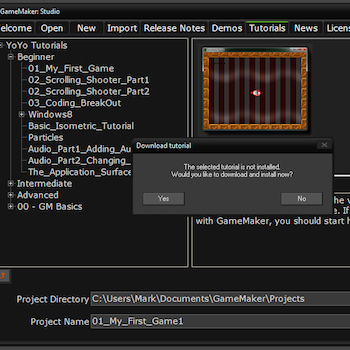 The free version allows users to export their finished games as flash files or upload them to Stencyl itself. Students will benefit from endless critical-thinking and problem-solving opportunities, and as with most game design tools, the project-based learning framework helps to prepare kids for future career and life challenges.